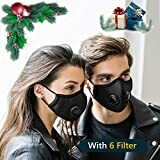 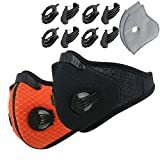 No matter whether you suffer from allergies or just want to breathe in cleaner air in the polluted cities, then simply slip on this cool new Allergen Filtering Face Mask. 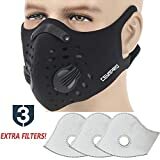 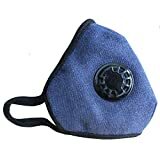 This modern face mask allows one to breathe naturally while it captures, neutralizes, and decomposes 99.3% of bacteria, pollen, dust mites, mold spores, tobacco smoke, pet dander, and other airborne impurities larger than 0.4 microns. 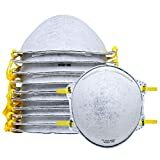 It features an exhalation valve to keep your face cool and dry, a waterproof cover, and two elastic bands to securely hold it in place. 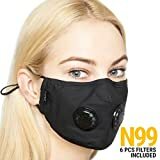 Best of all, it's cool modern design sort of makes you look like you time-traveled from apocalyptic future realm while you leisurely mow the grass or just enjoy a stroll about town.